This course is trained and certified by our partner Safety LMS (Texas). The course will equip you with necessary safety requirements and procedures for Tower climbing and rescue situations. Professionals working at height or those supervising them. It is mandatory for those whose day to day work involve accessing heights such as Telecommunication Engineers, Technicians, Riggers, e.t.c. 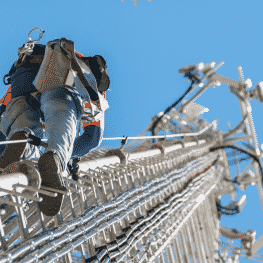 Basic understanding of Telecom and Safety .